(Codewit) — Trayvon Martin's parents spoke out Thursday for the first time since George Zimmerman was acquitted in the death of their son. In interviews on the three network TV morning news programs, Sybrina Fulton and Tracy Martin assailed the verdict and the Zimmerman defense team's argument that the killing was in self-defense during an attack by the unarmed teenager. Fulton told "CBS This Morning" she was "in a bit of shock" after the verdict. "I thought surely that he would be found guilty of second-degree murder," she said. On NBC's "Today," Fulton said the case is "sending a terrible message to other little black and brown boys — that you can't walk fast, you can't walk slow. So what do they do? I mean, how do you get home without people knowing or either assuming that you're doing something wrong? Trayvon wasn't doing anything wrong." Tracy Martin told CBS he wants America to know that Trayvon "was a fun-loving child." Speaking to ABC's "Good Morning America," Martin added that he and Fulton did not find the verdict fair, "and of course it's devastating." "My first thought was shock, disgust," said Fulton. The parents also were asked about remarks by Juror B37, who told CNN she believes Trayvon Martin "played a huge role in his death." "I don't think she knows Trayvon," Fulton said on CBS. "Trayvon is not a confrontational person." On ABC, she added that she wishes the six-woman jury "had an opportunity to really know who Trayvon was and to put that in context with what their decision was." The parents did not say whether they may file a civil lawsuit. They pushed for the federal government — which is considering whether to file criminal civil rights charges against Zimmerman — to examine the case closely. Fulton told CBS she wants President Barack Obama to go through the case "with a fine-tooth comb." "Today" asked them whether they may forgive Zimmerman, the 29-year-old neighborhood watch volunteer. "Forgiveness is like a healing process. Forgiveness takes time," Martin responded. "The Bible says that you have to forgive and forget, but also the healing process is a long process and the forgiving process is a long process." On ABC, the couple was told that Zimmerman's parents have told Barbara Walters that they pray for Trayvon every day. Asked whether they take any comfort from that, Martin said, "There's no winner in this situation." He added, "We continue to pray that we'll find peace and strength to be forgiving parents." Daryl Parks, an attorney for the Martin family, spoke with CNN's "New Day" about why the parents chose to do interviews now. 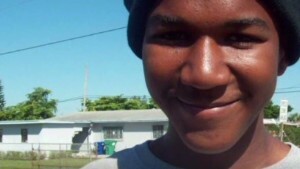 "Maybe Trayvon's human aspect, in the course of the case, didn't come out quite as much," he said. "As you listen to that juror (B37), she talks very deeply about George Zimmerman and humanizes George Zimmerman, when in this case Trayvon was the victim here." With the impending constitutional crisis now looming in the nation, I have voiced my views on what I think should happen and that is that the Nigerian constitution should be allowed to prevail.